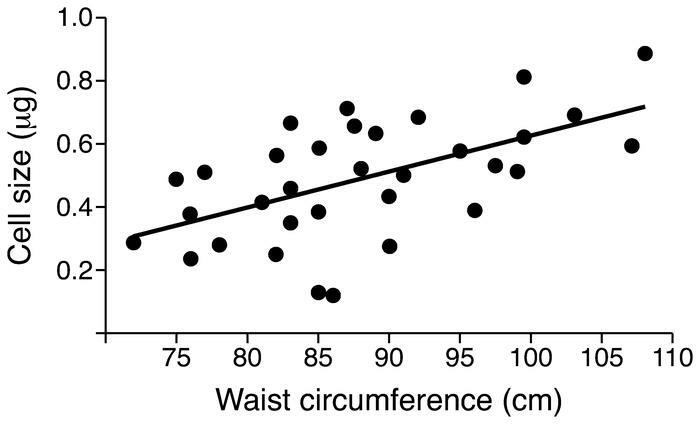 Waist circumference and SAT adipose cell size were determined in healthy, nonobese (BMI <30 kg/m2) men. Data are from ref. 16.